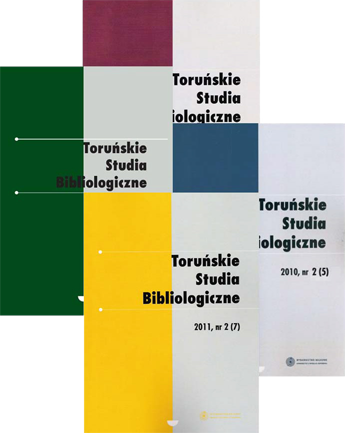 TSB (The Bibliological Studies of Torun) is a scientific journal that publishes national and international research papers in all fields of social sciences and humanities. The journal focuses on issues in the field of bibliology, information science and related disciplines (media studies, archival documentation management, press studies, scientific communication). TSB, published since 2008 biannually, is to provide a platform for presentation of scientific achievements as well as an international forum for exchange of experiences and discussion. The Editorial Board accepts previously unpublished articles and reviews written in Polish or one of the conference languages. The „Toruńskie Studia Bibliologiczne” journal has been included in the international databases Index Copernicus , The Central European Journal of Social Sciences and Humanities, Central and Eastern European Online Library, ERIH PLUS, DOAJ and national databases ARIANTA and Polska Bibliografia Bibliologiczna. It is also registred in the resources: WorldCat, Google Scholar, ViFaOst i LitDok. The paper version (ISSN 2080-1807) of the magazine is its reference. 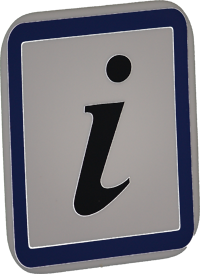 Articles, published in TSB, are made available for educational purposes in electronic form on the Web page magazine and Open Journal Systems platform in the formula Open Access, licenced under CC BY-NC-ND 3.0.